What would you do if you not only discovered that you were actually from a whole different planet, but also that you had amazing superpowers? Well, if you decide to embrace it and become a hero, you get to wear awesome uniforms! 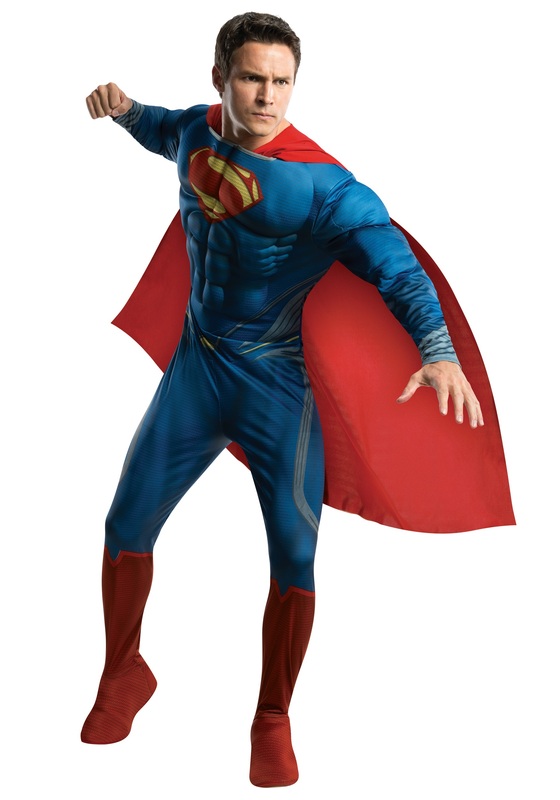 When you wear this awesome Superman Deluxe Costume, you'll look just like Supes does in the hit movie Man of Steel! This licensed costume is just the thing you'll need to become the hero of your Halloween party! The jumpsuit and attachable cape are designed after Superman's suit from the movie, for authenticity. It even features foam muscles built into the jumpsuit, to give you that "man of steel" physique. Once you decide to become a superhero, though, don't be surprised if the other guests start asking you to open jars and bottles for them. That just comes with the job. Great costume! Got compliments on the look. Had to safety pin the back but just cover with cape.